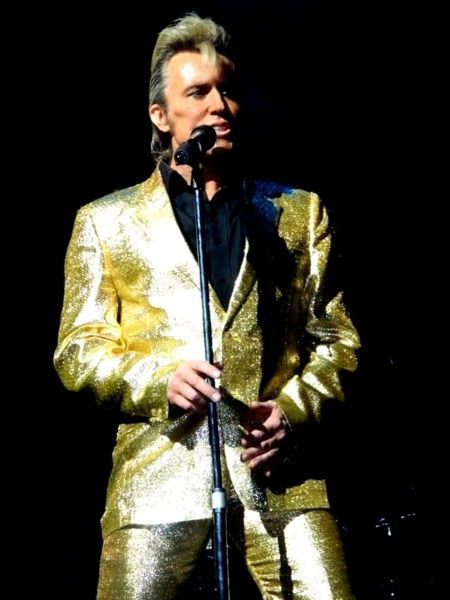 ‘The Billy Fury Years’ really is the definitive Billy Fury stage show…….ever ! ? One of the best-selling recording artists of the 1960s, Billy Fury enjoyed a string of hit singles totalling a remarkable 332 weeks in the British charts. Health problems since childhood led to the singer?s untimely death on January 28, 1983. Hailed as “the best Fury since Fury?, Michael King and his fantastic collection of musicians take you on a journey through the musical career of Britain’s best loved rock n roll legend. 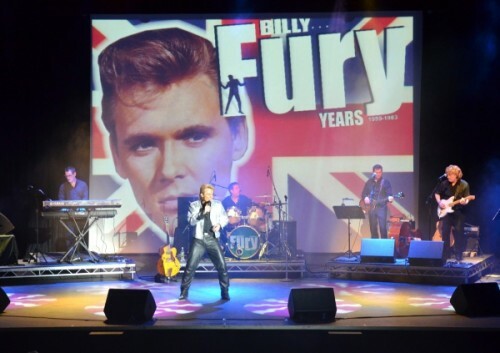 An exciting 2 hour show filled with Billy Fury’s greatest hits and more delivered live in true Fury style. This is a night of pure breathtaking Billy Fury entertainment plus the best Fury sound you will hear!. ?The songs span Fury?s entire career from his initial record release (Maybe Tomorrow) through to his final one, Forget Him – which, thanks to this thoughtful and welcome tribute show, his legion of fans never will? ?King captured fully the sound, the gestures, the mannerisms, even the physical appearance of arguably Britain?s greatest Rock and Roll singer? Brief background on Billy Fury and his amazing popularity. Billy Fury was born Ronald William Wycherley in Liverpool on the 17th April 1940. He was an internationally successful British pop singer from the late 1950s to the early 1960s, and remained an active songwriter until the 1980s. Rheumatic fever, which damaged his heart, contributed to his death in 1983. In the sixties Billy Fury had more Decca hits than any other artist including the Rolling Stones. He equalled ‘The Beatles’ record of 24 hits and spent a total of 332 weeks on the UK charts. He was one of the top four biggest selling artist of the sixties alongside The Beatles, Cliff and Elvis..